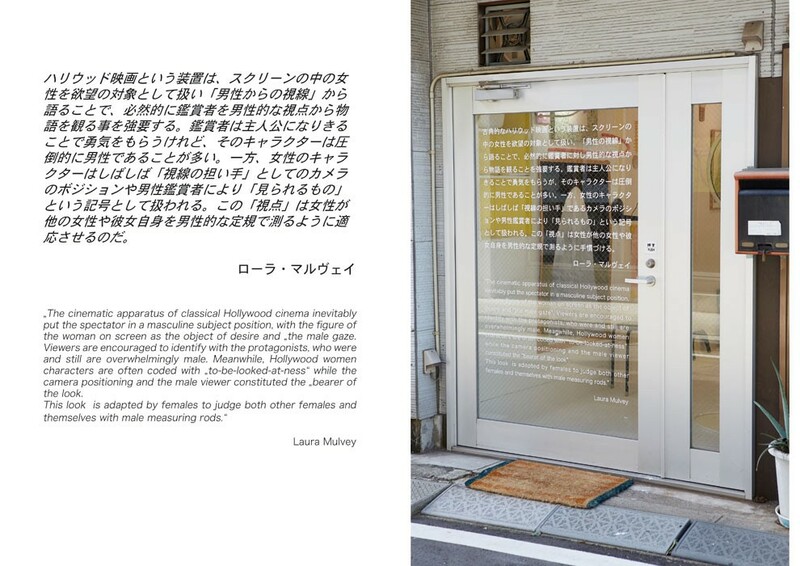 Exhibition in a former Japanese brothel, government paid city development project. This page: Entrance with text on the door. Various pieces and materials, Room sixe 2,40 m x 6 m x 3m, Koganecho Bazaar, Yokohama, Japan, 2015.